Archive for the ‘image’ Category. 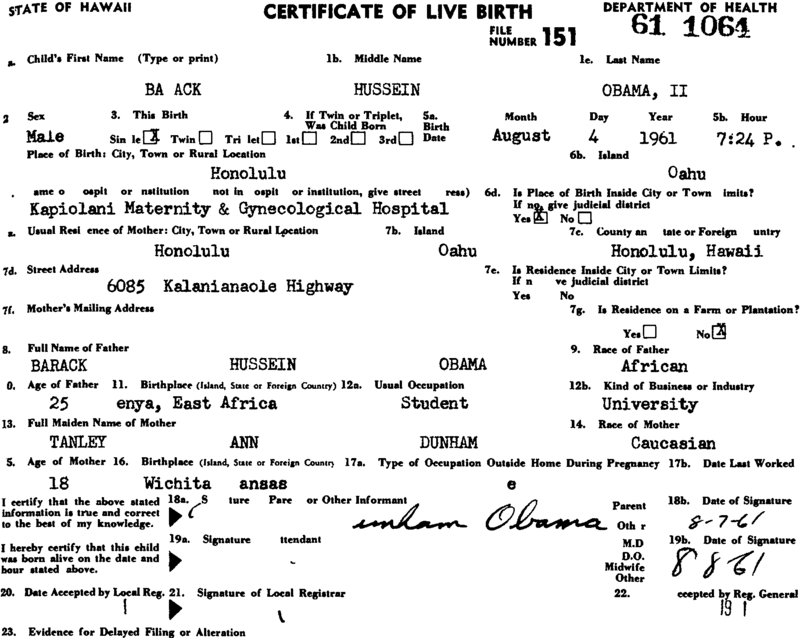 When the White House tried to put the long form birth certificate controversy to bed, it should have exercised more care in scanning and publishing the image. The PDF file it published was produced by some process that included image enhancement of most of the text. 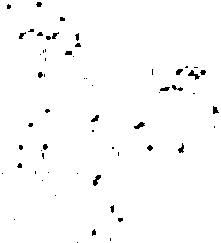 As a result, instead of containing a single simple color scan of the document, the PDF file contains a large color JFIF (JPEG) scan with text deemphasized, plus several separate monochrome bitmaps to fill in the text. That maximizes contrast and enhances readability, but it does raise questions about how much the file might have been edited. The whitened areas in the color image still show some remnants of what was there previously. It is left as an exercise for the reader what software would perform text enhancement by creating separate layers or subimages from the original scan. I certainly am curious. 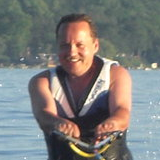 The PDF file’s properties state that it was produced on a Macintosh (probably “Print to PDF” from some scanning or editing program). 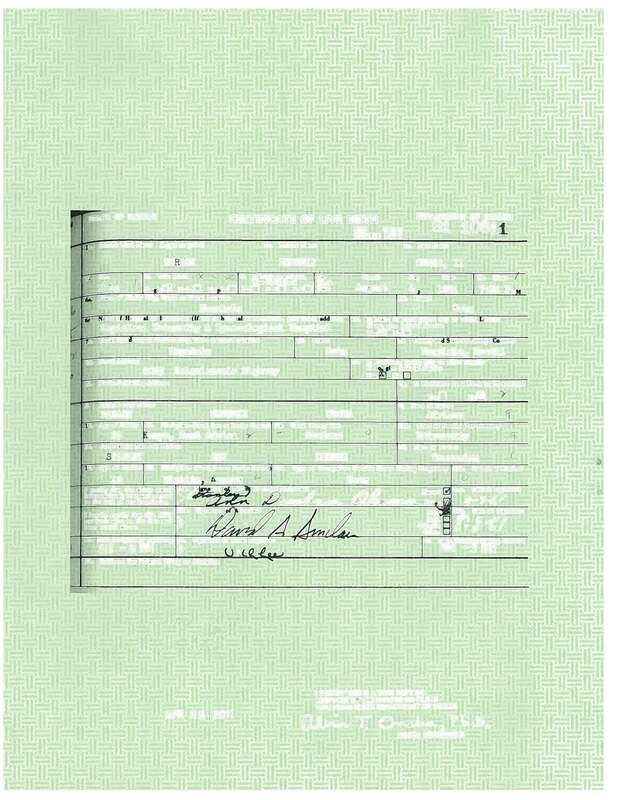 If the White House really wants to competently put the controversy to rest, it should walk the piece of paper over to a scanner again, set to maximum resolution, minimum enhancement, select TIFF or PNG (both are lossless) as the output format, and publish that. Please! See below for the subimages in the White House PDF.